In the kitchen, behind the register, these regular people made extraordinary choices. They opened their doors and offered spaces of comfort and collaboration. Today we look at restaurants that offered sustenance to activists of the Civil Rights Movement. The fight for and against segregation played out in countless ways, many of them centered around eating. When we talk about eating and public spaces during the Civil Rights Movement, we inevitably think of the business owners who resisted integration. 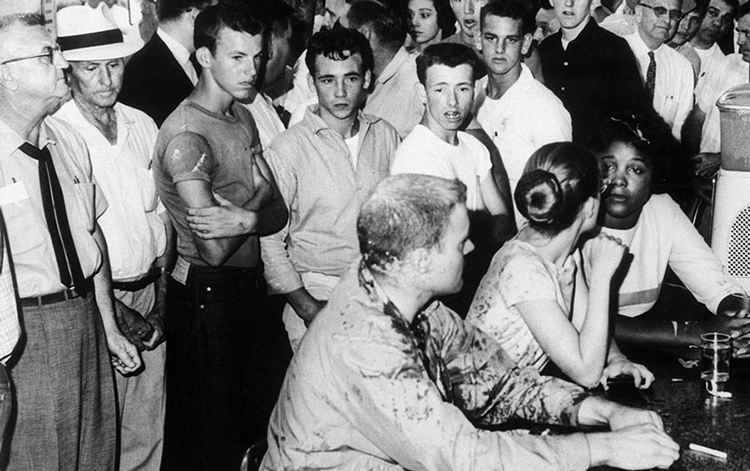 Photos of lunch counter sit-ins are imprinted in our minds. But there were also activists who furthered the cause from behind the counter, whose establishments became places of refuge. In the kitchen, behind the register, these regular people made extraordinary choices. They opened their doors and offered spaces of comfort and collaboration. 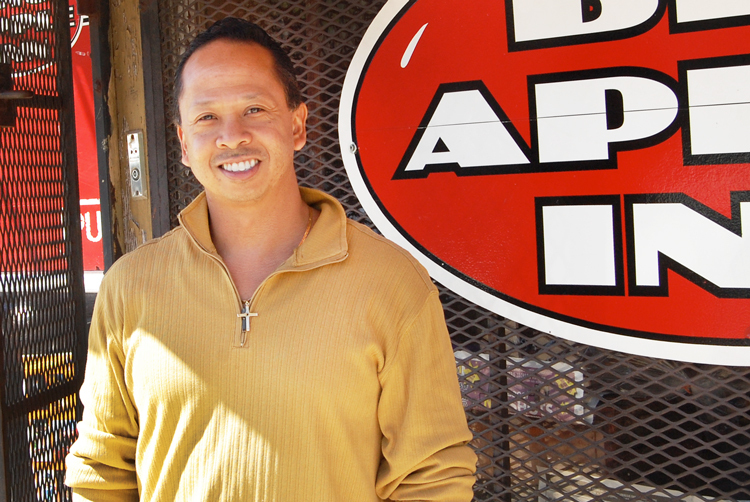 Geno Lee’s great-grandfather, Juan “Big John” Mora, opened the Big Apple Inn on Farish Street in Jackson, MS, in 1939. In the early days, pig-ear and smoked-sausage sandwiches sold for 10 cents. Today Geno still sells these all-time favorites for just $1.50. Geno describes the Big Apple Inn during the 1960s in this clip from the SFA film Smokes & Ears. Watch the SFA film Counter Histories: Jackson for more on the Woolworth’s sit in. Photo by Fred Blackwell. “When the Civil Rights done all that running and throwing bricks and all that stuff, I was right down there. A lot of the times they would be coming—‘Here they come, here they come!’ I’d open the door and let them in,” says Peaches. 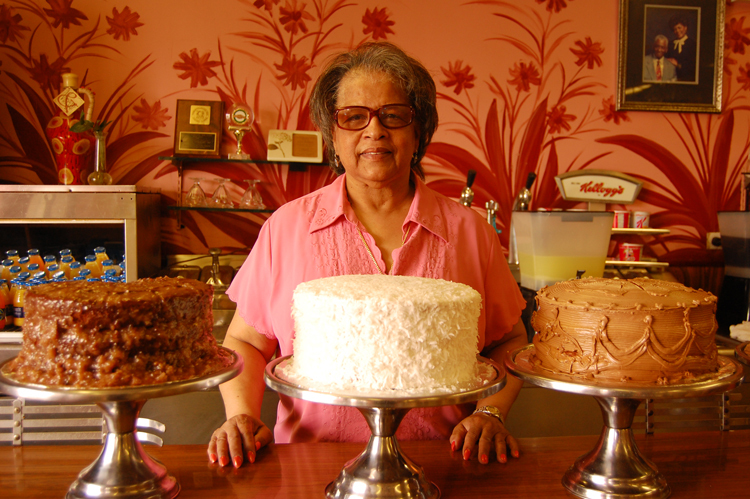 Her restaurant grew into a gathering place for Civil Rights leaders. By the time President Obama visited during his first campaign, Peaches had served Mohammed Ali and Medgar Evers. 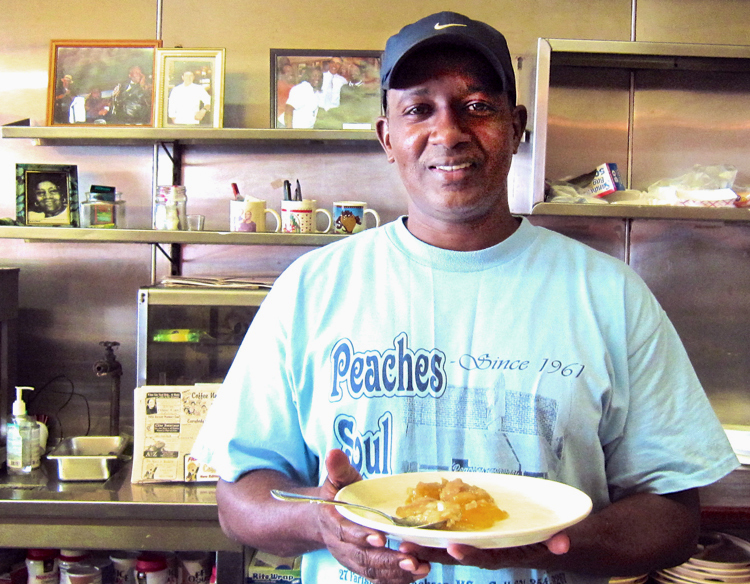 Roderick on what it was like on Farish Street, and why people came to Peaches. Edna Stewart was born in Chicago in 1938, shortly after her parents left sharecropping in Tennessee and moved north as part of the Great Migration. In 1966, the family opened Edna’s Restaurant on the west side of Chicago. Like Peaches, Edna’s served heroes of the movement, including Dr. Martin Luther King Jr. and Rev. Jesse Jackson. 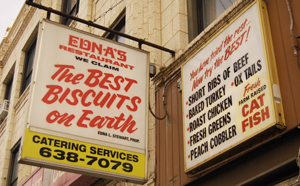 Immediately after Edna’s opened, Civil Rights activists working in Chicago’s west side began stopping in for biscuits, fried chicken, and conversation. It started with a quiet couple. “One day in the restaurant there was a white girl and a black guy, and they had on jeans. In 1966 we didn’t see too many jeans. We didn’t see a mixed racial couple on Madison Street,” shared Edna. Following Edna’s warm welcome, the young man asked her, “Would you like some customers?” Edna’s soon became one of the meeting spots for Dr. King’s freedom movement. Edna Stewart on opening in the midst of neighborhood sit-ins and Oprah’s favorite dish. UP NEXT: First impressions matter—even for produce. Discover why presentation is everything at the Carrboro, North Carolina Farmers’ Market. This feature was produced with oral history interviews, audio, and photographs from the Southern Foodways Alliance. Smokes & Ears was produced by Joe York for the SFA in recognition of 2009 Ruth Fertel Keeper of the Flame Award Winner Geno Lee. The cover photo is the interior of Bully’s Restaurant, Jackson, MS.